Sometimes, it’s nice to go back to the beginning. Around a year and a half ago I took to my student kitchen, armed with a point and shoot and a much-loved scone recipe ready to throw together a bake for my first ever blog post. I wasn’t really sure what I was doing – all squinty angles and dozens of pictures with a scabby looking chopping board – but that first post was the beginning of Victoria Sponge Pease Pudding. That post prompted me to pour my foodie musings into the internet every few days, accompanied by pictures of cakes and snippets of my brightly coloured nail varnish. It’s funny to think how much has changed since that first post. In the past 19 months I’ve picked up blogging tips from some of my favourite writers, made friends thanks to this awesome awards scheme and accumulated a fair amount of blogging paraphernalia that clutters up the kitchen cupboards and quite possibly makes my flatmate hate me. But I bring him crumble when he’s hungover so I think we’re even. 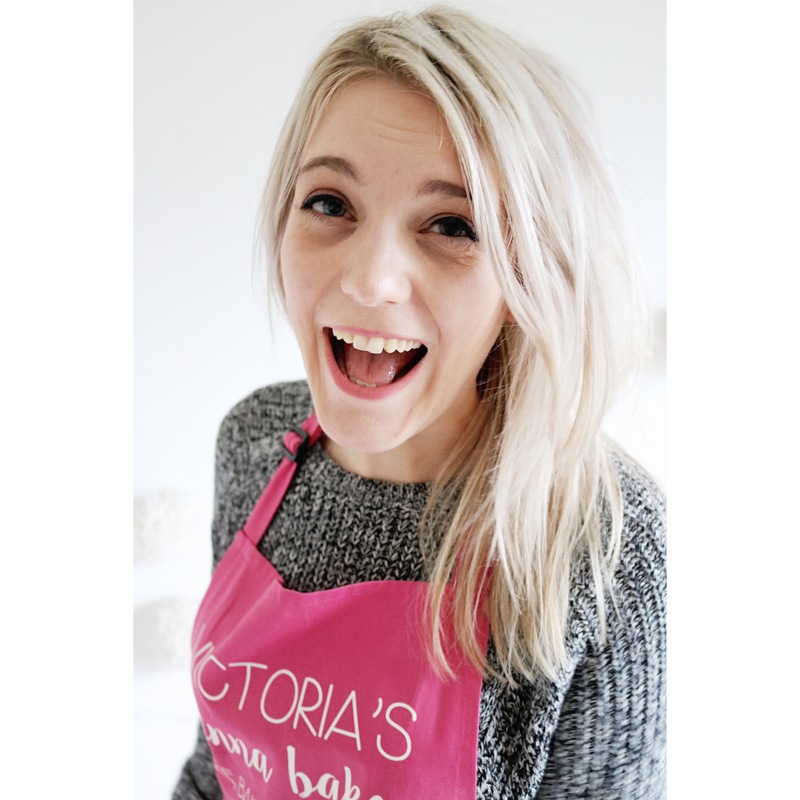 I realise this sounds like a benchmark post, like VSPP’s anniversary or something, but really it’s about appreciating where my blogging journey all began. And in appreciation, I decided to honour those White Peach Scones with Rosemary Sugar by reimagining them for my post-university self. The fresh peach has gone and instead the lurid comfort of the tinned variety lurks in its place. Bursting with colour and a smash of sugary sweetness, fragrant lemon thyme complements the fruit with a little zing of citrus. 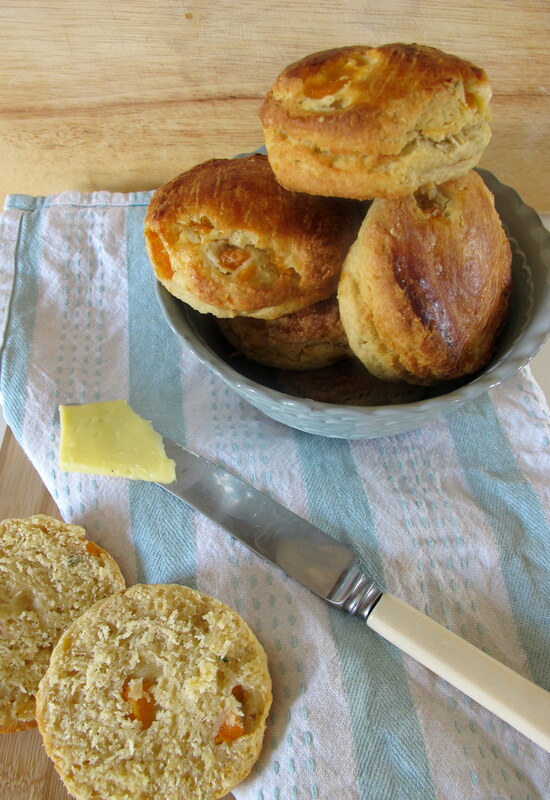 Buttermilk brings together the dough into a robust American style scone and is turned out into a subtle afternoon treat. These pretty scones might not have been devoured by a gaggle of girls sitting on the worktop in a pokey student flat, but still, it’s nice look back and know that was the moment it all began. Preheat an oven to 200oc/180oc fan/Gas Mark 6. Line a baking sheet with baking parchment and set aside. In a large bowl, whisk together the flour, salt, bicarbonate of soda, baking powder and lemon zest. Rub in the butter until the pieces are the size of peas. In a separate bowl or jug, whisk together the egg, honey and buttermilk until smooth. Chop the peaches into chunks and give them a final pat with kitchen paper then add to the butter mix along with the lemon thyme leaves. Stir then pour in the buttermilk mix all at once and mix to a soft, shaggy dough. Turn out onto a well floured surface and roll or pat into a 1 inch thickness. Cut out with 2 inch sized round cutters. Roll and repeat with scraps until you have 12 scones. Brush with the remaining buttermilk then bake for 15-18 minutes until golden. Leave to cool on a wire rack and serve warm with butter and a cup of tea.